President Trump formally asked Vice President Mike Pence if he would be his 2020 running mate at the president’s first press conference since the 2018 midterm elections. Pence nodded his head in agreement, sparking a round of applause from White House staffers present for the exchange. “That was unexpected, but I feel very fine,” Trump added. Trump selected Pence, who used to serve as Indiana’s governor before becoming vice president, as his running mate in July 2016. 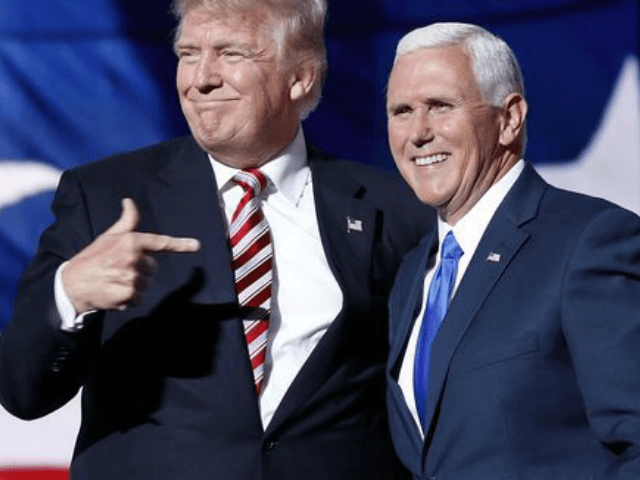 Since then, Pence has become one of the president’s most ardent supporters on the campaign trail and in the White House. Trump’s formal announcement of Pence as his running mate also comes as Democrats, fresh off the midterm elections, are looking at their prospects. The list of prospects includes former Vice President Joe Biden, Sen. Elizabeth Warren (D-MA), Sen. Bernie Sanders (I-VT), and Sen. Kamala Harris (D-CA) all expected to announced their intentions to challenge Trump in the 2020 presidential election.